Journalism, in general, has become rampant and trite in recent years: in India this disease has percolated throughout the media. The fundamental principle of balanced, intelligent and analytical reporting is being overshadowed by lurid, headline-grabbing and too often irresponsible news presentation. This is a dangerous development in a democracy, where the media has the key role to play. The issue of the high Tibetan lamas’ moral authority and their roles as unofficial community leaders and initiators in India’s border regions, has been totally ignored all journalists. Buddhists in the Himalayan belt automatically turn to the lamas for help and advice on both religious and secular matters. Their wisdom and spiritual advice provides communal harmony and stability. This is, perhaps, worth more for India’s national security than posting thousands of soldiers. The media has also ignored the importance of Tibet in India’s long-term geopolitical interests. However, the media — instead of providing unbiased and objective news — has libeled the Gyalwa Karmapa to create sensations and exaggerate the case. This has forced even the Home Minister, P. Chidambaram, to remark, "Investigations are underway in Karmapa case. No conclusion drawn whether he is a Chinese agent or not." Incidentally, the media’s blowing up a situation is not without precedent. During the November 2008 Mumbai terror attacks, the terrorists and their deadly assaults were treated like a reality show, each channel competing to dramatize the situation. The intelligence opportunities the live coverage provided to the attackers, the obstruction created to the security personnel, and the impact on victims’ relatives were ignored by the media. The most important point that today’s journalism misses is: Who provides more threat to India’s national security — the Karmapa or China? Since his escape from Tibet, during which he dodged spies, army checkpoints and travelled by foot, car and horseback, Karmapa has been engaging in spiritual affairs and in his study. He has stayed clear of politics and his every movement is overseen by the Indian government. However, on the other hand, the Chinese military have made numerous incursions into Indian border regions and are reportedly building roads. Beijing also provides covert support and arms to major insurgent groups in India’s Northeast and the Maoist belt. The mainstream media reports on these bullish Chinese actions are scanty, non-investigative and inconclusive, to say the least. Tibetan refugees have always placed enormous faith in the Indian democracy and the free press. In fact, it can be said that the survival of Tibetan issue and the exile community depends much on India’s democratic institutions — including the media. Hence, while reporting on any infringement of the Indian law by individual Tibetans, the media must uphold its ethics and act as the Fourth Pillar of the biggest democratic country in the world. 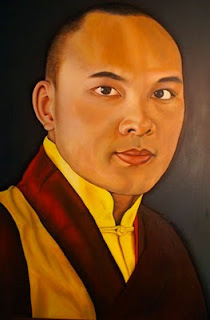 But for now, the media’s portrayal of this current issue has made the young Gyalwa Karmapa, who is a spiritual guru to millions of Indians in the Himalayan region and devotees around the world, a persona non grata in India. The negative collateral impact may be felt for years to come.